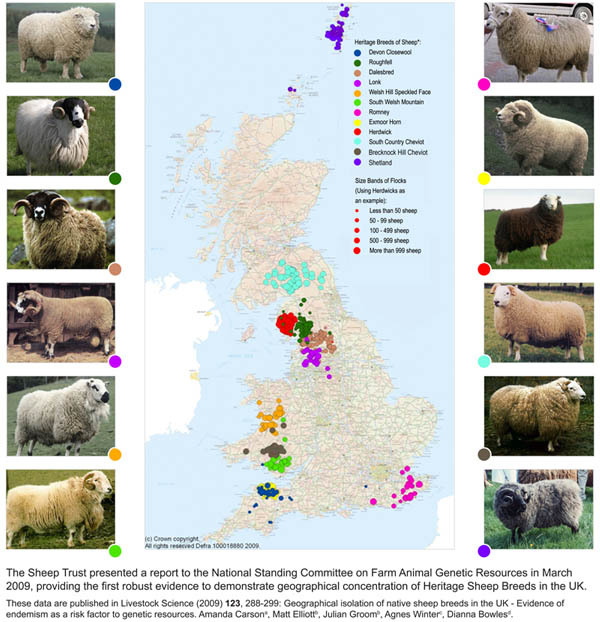 Click the links below to see where each of the 12 Heritage Sheep Breeds are farmed. These are not rare breeds, existing in many thousands, the breeds support regional farming. Many of them produce our food from land too poor for other forms of agriculture. Heritage Sheep Breeds are a national asset that deserve to be recognized, appreciated for their worth and protected to benefit us all in the future. These breeds are the way forward for sustainable productivity.